Kollitz, E. M. , De Carbonnel, L. , Stapleton, H. M. & P Ferguson, L. . The Affinity of Brominated Phenolic Compounds for Human and Zebrafish Thyroid Receptor β: Influence of Chemical Structure. Toxicological Sciences 163, 226 - 239 (2018). Dasgupta, S. , Choyke, S. , Ferguson, P. L. & McElroy, A. E. . Antioxidant responses and oxidative stress in sheepshead minnow larvae exposed to Corexit 9500® or its component surfactant, DOSS. Aquatic Toxicology (Amsterdam, Netherlands) 194, 10 - 17 (2018). Schaefer, C. E. et al. Electrochemical Transformations of Perfluoroalkyl Acid (PFAA) Precursors and PFAAs in Groundwater Impacted with Aqueous Film Forming Foams. 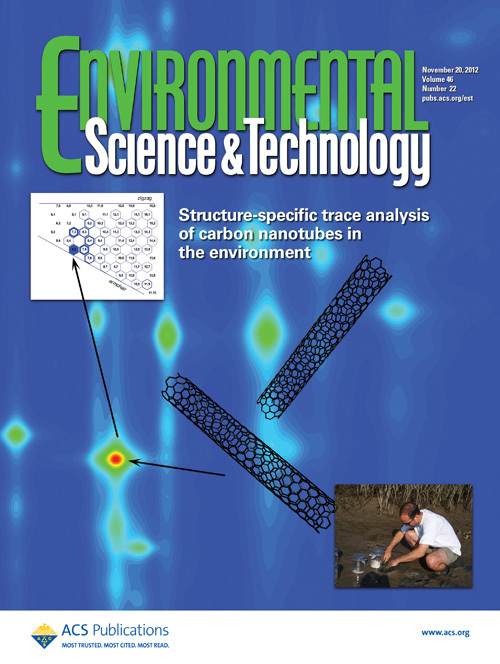 Environmental Science & Technology 52, 10689 - 10697 (2018). Czaplicki, L. M. , Dharia, M. , Cooper, E. M. , Ferguson, P. L. & Gunsch, C. K. . Evaluating the mycostimulation potential of select carbon amendments for the degradation of a model PAH by an ascomycete strain enriched from a superfund site. Biodegradation 29, 463 - 471 (2018). Kassotis, C. D. , Kollitz, E. M. , Ferguson, P. L. & Stapleton, H. M. . Nonionic Ethoxylated Surfactants Induce Adipogenesis in 3T3-L1 Cells. Toxicological Sciences 162, 124 - 136 (2018). Geitner, N. K. et al. Size-Based Differential Transport, Uptake, and Mass Distribution of Ceria (CeO2) Nanoparticles in Wetland Mesocosms. Environmental Science & Technology 52, 9768 - 9776 (2018). Ferguson, P. L. & Stapleton, H. M. . Comment on "Mutagenic Azo Dyes, Rather Than Flame Retardants, Are the Predominant Brominated Compounds in House Dust". Environmental Science & Technology 51, 3588 - 3590 (2017). Barzen-Hanson, K. A. et al. Discovery of 40 Classes of Per- and Polyfluoroalkyl Substances in Historical Aqueous Film-Forming Foams (AFFFs) and AFFF-Impacted Groundwater. Environmental Science & Technology 51, 2047 - 2057 (2017). Bisesi, J. H. et al. Influence of the Gastrointestinal Environment on the Bioavailability of Ethinyl Estradiol Sorbed to Single-Walled Carbon Nanotubes. Environmental Science & Technology 51, 948 - 957 (2017). Hollender, J. , Schymanski, E. L. , Singer, H. P. & Ferguson, P. L. . Nontarget Screening with High Resolution Mass Spectrometry in the Environment: Ready to Go?. Environmental Science & Technology 51, 11505 - 11512 (2017). Holden, P. A. et al. Considerations of Environmentally Relevant Test Conditions for Improved Evaluation of Ecological Hazards of Engineered Nanomaterials. Environmental Science & Technology 50, 6124 - 6145 (2016). Smith, L. C. , Clark, J. C. , Bisesi, J. H. , Ferguson, P. L. & Sabo-Attwood, T. . Differential recruitment of co-regulatory proteins to the human estrogen receptor 1 in response to xenoestrogens. Comparative Biochemistry and Physiology. Part D, Genomics & Proteomics 19, 159 - 173 (2016). Li, H. - X. et al. Effects of Toxic Leachate from Commercial Plastics on Larval Survival and Settlement of the Barnacle Amphibalanus amphitrite. Environmental Science & Technology 50, 924 - 931 (2016). Smith, L. C. , Ralston-Hooper, K. J. , Ferguson, P. L. & Sabo-Attwood, T. . The G Protein-Coupled Estrogen Receptor Agonist G-1 Inhibits Nuclear Estrogen Receptor Activity and Stimulates Novel Phosphoproteomic Signatures. Toxicological Sciences 151, 434 - 446 (2016). Hoelzer, K. et al. Indications of Transformation Products from Hydraulic Fracturing Additives in Shale-Gas Wastewater. Environmental Science & Technology 50, 8036 - 8048 (2016). Stravs, M. A. , Mechelke, J. , Ferguson, P. L. , Singer, H. & Hollender, J. . Microvolume trace environmental analysis using peak-focusing online solid-phase extraction-nano-liquid chromatography-high-resolution mass spectrometry. Analytical and Bioanalytical Chemistry 408, 1879 - 1890 (2016). Czaplicki, L. M. et al. A New Perspective on Sustainable Soil Remediation-Case Study Suggests Novel Fungal Genera Could Facilitate in situ Biodegradation of Hazardous Contaminants. Remediation (New York, N.Y.) 26, 59 - 72 (2016). Cooper, E. M. et al. Results from Screening Polyurethane Foam Based Consumer Products for Flame Retardant Chemicals: Assessing Impacts on the Change in the Furniture Flammability Standards. Environmental Science & Technology 50, 10653 - 10660 (2016). Khan, I. A. et al. Change in Chirality of Semiconducting Single-Walled Carbon Nanotubes Can Overcome Anionic Surfactant Stabilization: A Systematic Study of Aggregation Kinetics. Environmental Chemistry 12, 652 - 661 (2015). Fang, M. , Webster, T. F. , Ferguson, P. L. & Stapleton, H. M. . Characterizing the peroxisome proliferator-activated receptor (PPARγ) ligand binding potential of several major flame retardants, their metabolites, and chemical mixtures in house dust. Environmental Health Perspectives 123, 166 - 172 (2015). Parks, A. N. , Chandler, G. T. , Ho, K. T. , Burgess, R. M. & Ferguson, P. L. . Environmental biodegradability of [¹⁴C] single-walled carbon nanotubes by Trametes versicolor and natural microbial cultures found in New Bedford Harbor sediment and aerated wastewater treatment plant sludge. Environmental Toxicology and Chemistry 34, 247 - 251 (2015). Bisesi, J. H. et al. Examination of Single-Walled Carbon Nanotubes Uptake and Toxicity from Dietary Exposure: Tracking Movement and Impacts in the Gastrointestinal System. Nanomaterials (Basel, Switzerland) 5, 1066 - 1086 (2015). Getzinger, G. J. et al. Natural Gas Residual Fluids: Sources, Endpoints, and Organic Chemical Composition after Centralized Waste Treatment in Pennsylvania. Environmental Science & Technology 49, 8347 - 8355 (2015). Fang, M. et al. Effect-directed analysis of Elizabeth River porewater: developmental toxicity in zebrafish (Danio rerio). Environmental Toxicology and Chemistry 33, 2767 - 2774 (2014). Parks, A. N. et al. Effects of single-walled carbon nanotubes on the bioavailability of PCBs in field-contaminated sediments. Nanotoxicology 8 Suppl 1, 111 - 117 (2014). Schierz, A. et al. Fate of single walled carbon nanotubes in wetland ecosystems. Environmental Science: Nano 1, 574 - 583 (2014). Parks, A. N. , Burgess, R. M. , Ho, K. T. & Ferguson, P. L. . On the likelihood of single-walled carbon nanotubes causing adverse marine ecological effects. Integrated Environmental Assessment and Management 10, 472 - 474 (2014). Dodder, N. G. et al. Occurrence of contaminants of emerging concern in mussels (Mytilus spp.) along the California coast and the influence of land use, storm water discharge, and treated wastewater effluent. Marine Pollution Bulletin 81, 340 - 346 (2014). Dong, W. et al. The PBDE metabolite 6-OH-BDE 47 affects melanin pigmentation and THRβ MRNA expression in the eye of zebrafish embryos. Endocrine Disruptors (Austin, Tex.) 2, (2014). Levin, E. D. et al. Prenatal dexamethasone augments the neurobehavioral teratology of chlorpyrifos: significance for maternal stress and preterm labor. Neurotoxicology and Teratology 41, 35 - 42 (2014). Sanpui, P. et al. Single-walled carbon nanotubes increase pandemic influenza A H1N1 virus infectivity of lung epithelial cells. Particle and Fibre Toxicology 11, (2014). Bisesi, J. H. et al. Tracking and quantification of single-walled carbon nanotubes in fish using near infrared fluorescence. Environmental Science & Technology 48, 1973 - 1983 (2014). Ralston-Hooper, K. J. et al. Application of a label-free, gel-free quantitative proteomics method for ecotoxicological studies of small fish species. Environmental Science & Technology 47, 1091 - 1100 (2013). Parks, A. N. et al. Bioaccumulation and toxicity of single-walled carbon nanotubes to benthic organisms at the base of the marine food chain. Environmental Toxicology and Chemistry 32, 1270 - 1277 (2013). Khan, I. A. et al. Chirality Affects Aggregation Kinetics of Single-Walled Carbon Nanotubes. Environmental Science & Technology 47, 1844 - 1852 (2013). Khan, I. A. et al. Fractal structures of single-walled carbon nanotubes in biologically relevant conditions: Role of chirality vs. media conditions. Chemosphere 93, 1997 - 2003 (2013). Khan, I. A. , Berge, N. D. , Sabo-Attwood, T. , Ferguson, P. L. & Saleh, N. B. . Single-walled carbon nanotube transport in representative municipal solid waste landfill conditions. Environmental Science & Technology 47, 8425 - 8433 (2013). von der Kammer, F. et al. Analysis of engineered nanomaterials in complex matrices (environment and biota): general considerations and conceptual case studies. Environmental Toxicology and Chemistry 31, 32 - 49 (2012). Schierz, A. , Parks, A. N. , Washburn, K. M. , Chandler, G. T. & Ferguson, P. L. . Characterization and quantitative analysis of single-walled carbon nanotubes in the aquatic environment using near-infrared fluorescence spectroscopy. Environmental Science & Technology 46, 12262 - 12271 (2012). Ferguson, P. L. et al. Characterization of toxic components in aircraft deicer fluids using bioassay directed fractionation and high resolution mass spectrometry. Abstracts of Papers of the American Chemical Society 243, (2012). Chandler, G. T. , Ferguson, P. L. , Klauber, W. W. & Washburn, K. M. . A critical body residue approach for predicting persistent bioaccumulative toxicant effects on reproduction and population dynamics of meiobenthic copepods. Environmental Toxicology and Chemistry 31, 1076 - 1082 (2012). Plata, D. L. , Ferguson, P. L. & Westerhoff, P. . Express it in numbers: efforts to quantify engineered nanoparticles in environmental matrices advance. Environ Sci Technol 46, 12243 - 12245 (2012). Gaertner, K. , Chandler, G. T. , Quattro, J. , Ferguson, P. L. & Sabo-Attwood, T. . Identification and expression of the ecdysone receptor in the harpacticoid copepod, Amphiascus tenuiremis, in response to fipronil. Ecotoxicology and Environmental Safety 76, 39 - 45 (2012). Stapleton, H. M. et al. Novel and high volume use flame retardants in US couches reflective of the 2005 PentaBDE phase out. Environmental Science & Technology 46, 13432 - 13439 (2012). Kashiwada, S. et al. Silver nanocolloids disrupt medaka embryogenesis through vital gene expressions. Environmental Science & Technology 46, 6278 - 6287 (2012). Khan, I. A. , Ferguson, P. L. , Sabo-Attwood, T. & Saleh, N. B. . Chirality affects aggregation kinetics of single-walled carbon nanotubes. ACS National Meeting Book of Abstracts 241, (2011).